Choosing the correct ironing equipment is important for your business. 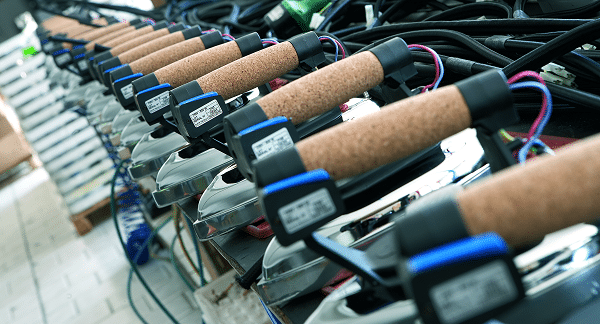 With the right irons, boilers and tables you can speed up ironing and get the best professional results! Below is our expert guide on how to choose ironing equipment. Firstly consider how many hours of ironing each day you are doing. If you are ironing for only around 2 hours a day consider our light commercial ironing equipment. If you are ironing for up to 4 or 5 hours a day choose our professional ironing equipment. You may also consider our industrial ironing equipment range for quicker, non-stop ironing. If you are ironing for longer than 4 or 5 hours a day invest in industrial ironing equipment. Designed to support continuous ironing and deliver the best ironing results. Light commercial ironing equipment designed for users doing only a couple of hours of ironing a day. 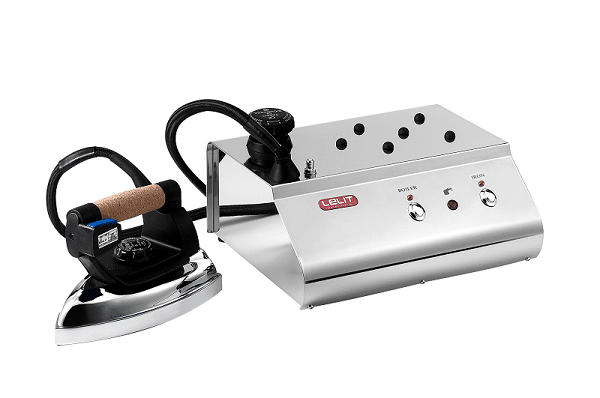 The PS25 electric steam boiler comes complete with a Lelit steam iron. 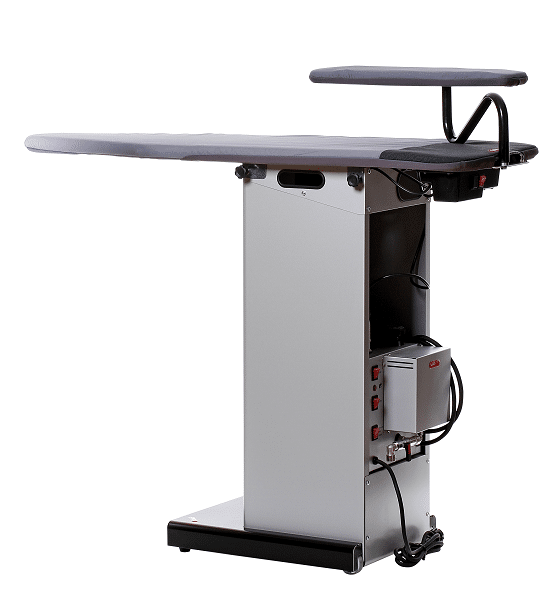 It delivers professional ironing results when used with the PA71N ironing table. All the equipment runs on single phase electricty so you can just plug it in and start ironing! Lelit’s best selling steam boiler with steam iron. The PS25 delivers perfect ironing results and provides continuous steam for up to 2.5 hours. Get up to 2.5 hours of continuous ironing with the PS25 electric steam boiler. After this time you will need to manually refill the boiler with water. You will then need to wait for the boiler to heat up again, ready to produce steam. Remember to use the steam function correctly. If you press the stream function continually you will create too much moisture. As a result this will make your ironing board too wet. Also garments will take longer to fully dry with too much moisture from the steam function. In addition, you will need to refill the boiler in less than a couple of hours! Only press the steam function the first time you are ironing over the garment. This will provide enough steam to iron out creases. Release the steam function when you are bringing the iron back over the garment towards you. Speed up ironing with the vacuum PA71N ironing table. As a result of the vacuum function it is easy to iron out creases and get professional results. Also the vacuum function helps absorb excess moisture from the garment and the steam iron. 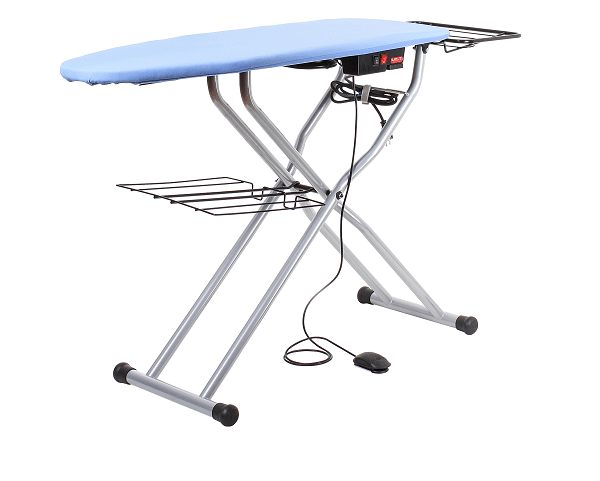 The PA71N ironing table also has a blowing function. Use it to blow out creases on the waist area of trousers or the linings of jackets. Use the Lelit PG027 for hours of ironing. Get professional ironing results with the powerful steam function. Professional ironing equipment designed for users doing around 4 hours of ironing each day. The PG027 5 litre steam capacity generator comes complete with a Lelit steam iron. Use the steam function correctly and get up to 4.5 hours of continuous ironing. Only press the steam function when you first iron over the garment. After 4.5 hours manually refill the Lelit PG027. It will heat up after about 15 to 20 minutes and be ready to provide steam again. 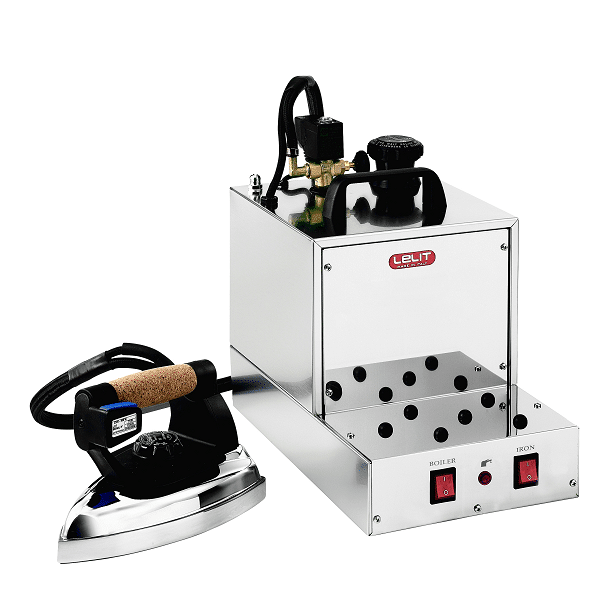 The PKSB500N finishing table comes complete with a 5 litre semi automatic steam capacity boiler. Use for a larger volume of ironing as a result of the more powerful vacuum function. It is suitable for use when ironing around 4 hours per day. Industrial ironing equipment designed for continuous ironing through the day. Perfect for busy dry cleaners and launderettes with a large volume of ironing. 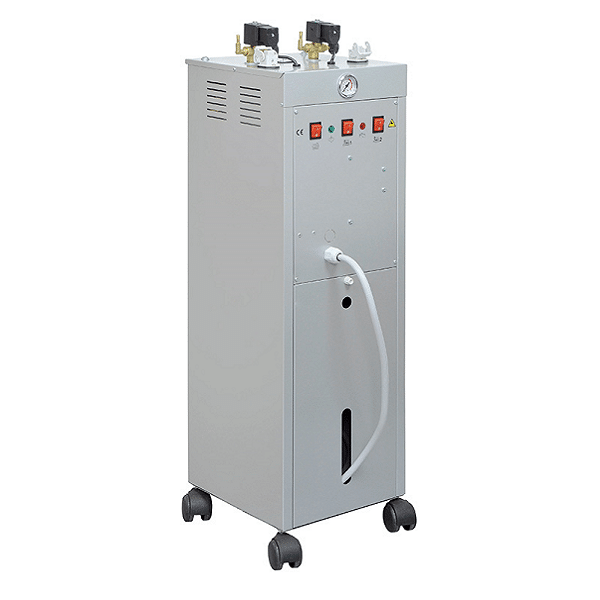 Connect PGAUTO5NEW electric steam automatic boiler to a water pipe for continuous ironing. No need to manually refill the boiler and as a result no ironing down time. Power two PG036/7 commercial steam irons at the same time with the PGAUTO5NEW automatic steam generator. Or connect a steam gun and a steam iron. Used by industrial laundries, dry cleaners and busy ironing services. Get high quality ironing results with Lelit KS200/D industrial finishing table because of the powerful vacuum function. 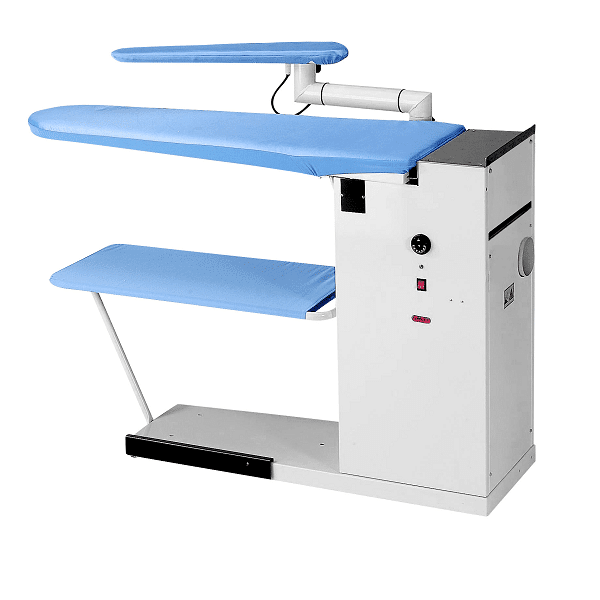 Choose the Lelit KS200/D industrial finishing table for hours of ironing each. Used by industrial laundries, dry cleaners and busy ironing services. Finish large volumes of ironing to the highest standard because of the powerful vacuum function and the heated ironing board. Easily control the temperature of the ironing surface. In addition, use the foot pedal to easily operate the vacuum function. How to Choose Ironing Equipment? Speak to an Expert! Still not sure how to choose ironing equipment that is right for you? Speak to one of our experts! Contact us on 042 937 2106 from Ireland or 00353 42 937 2106 from UK.